Gucci is decamping Milan Fashion Week this fall, showing their spring 2019 collection in Paris on September 24. When speaking with WWD, Marco Bizzarri, president and chief executive officer of Gucci, was quick to point out that while Sept. 24 is technically the last day of Milan Fashion Week, the date essentially functions as a “transition day between Milan and Paris Fashion Weeks [which is why we chose it] to avoid impacting schedules. 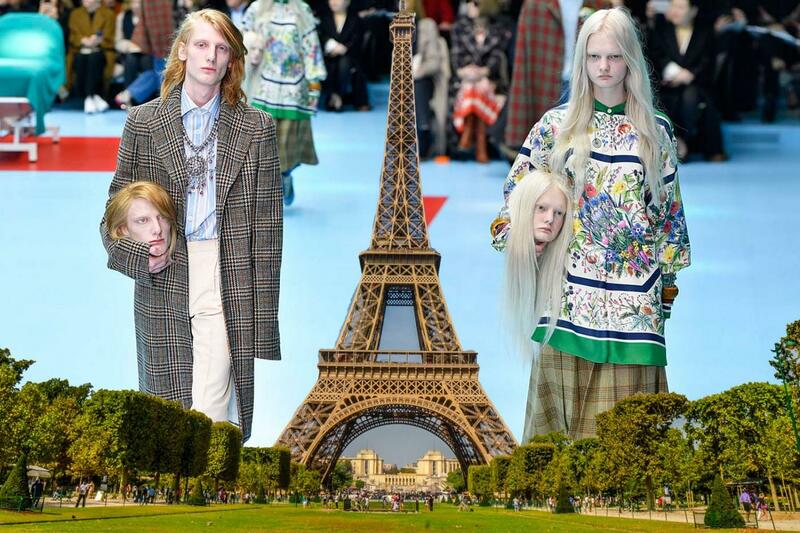 We will then look forward to returning to Milan in February 2019.” The relocation was sparked by the “French-inspired narrative” Alessandro Michele plans to tell with the collection. Ah, bon! In a real-life version of The Princess Diaries, the Queen has enlisted one of her most trusted senior aides to devote the next six months to training Meghan in the ways of royal family etiquette and behavior. 49-year-old Samantha Cohen, who normally serves as the Queen’s assistant private secretary, is tasked with the training and she’s already reportedly moved from Buckingham Palace to Kensington Palace so she can have face time with Markle on a daily basis. “It will be six months of listening. [Meghan] is seeking out advice from a range of people. She is going to proceed with humility,” a source says. “It is not going to be quiet, though. It is going to be a very busy office. She has worked every day of her life. She is used to a demanding schedule.” Cohen doesn’t seem to be one to mess around either. The Daily Mail reports she is known to be “deeply committed to serving the Monarchy,” and apparently she was one of the first women to take control of the Palace media office, once dominated by men. Among the pointers Cohen will be giving Markle is a ban on dark nail polish, leg-crossing and wedges, per the Queen’s royal decree. All-caps is O-V-E-R. Alexander Wang quietly debuted a new logo yesterday, a lower-cased version in a thinner font, for his namesake label. Perceptive show invitees may have noticed the change on Wednesday when they received save the dates for Wang’s next outing, which will take place Sunday, June 3rd. The save the date, unveiling the new logo. So the collection shown next Sunday will trickle out between October and March, while products from the December runway show will be available from the following April through September. The collection has also been dubbed “collection 1” per the save the date…hmm. A new retail strategy, a new logo, and a “first” collection — could a relaunch and/or rebranding be afoot? LVMH has led the latest round of funding for fashion search platform Lyst, contributing roughly 45 percent of the total $60 million pot. As part of the deal, LVMH chief digital officer Ian Rogers will be joining the Lyst advisory board. “E-commerce now represents multi-billion Euro revenue and explosive growth for LVMH Maisons. As we continue to invest across the full spectrum of the online luxury experience, Lyst’s vision for a seamless fashion search and discovery destination, coupled with its exceptional growth potential, provides us with a unique opportunity,” Rogers said in a statement. Lyst is essentially a very streamlined Google specifically built for luxury e-comm, aggregating merchandise from thousands of sites and e-tailers so they can live under one virtual roof. The idea is users can search terms like Kardashian dress” or “job interview” much like they can find a Spotify playlist. According to Business of Fashion, the London-based platform hit a gross merchandise value of $325 million last year and projects “approaching half a billion dollars this year.” It should be noted that Business of Fashion has an existing partnership with Lyst, using Lyst’s data to rank fashion’s hottest brands.